In order to receive a quote please contact us if you wish to join our upcoming tours or if you wish to have a tour on different dates (subject to availability). Please inform your dates and packages of interest when requesting a quote. Our tours beginning from Cuiabá have been the highlight of many visitors’ trips to the Northern Pantanal. Our tour guides and safari drivers are local and naturalists who are trained to deliver tours to an exceptionally high standard. The costs of our tours are based on: quality of the services provided (check our reviews on Trip Advisor), exclusive bilingual naturalist tour guides, local and knowledgeable drivers, accommodations at wildlife lodges, carefully planned activities and transfers in/out. Our activities are flexible to ensure that you see as wide a variety of animals as possible. Typical activities include: boat rides, walks at first light, trails, night safaris, horseback rides, piranha fishing and more (please check our wildlife and jaguar packages for more information). Furthermore, our exclusive safari vehicles and boats guarantee the ultimate safari experience. The vehicles are designed with tiered seating so nobody’s view is blocked and the boats are comfortable and well equipped with VHF radios to provide the perfect opportunity to enter and explore the Pantanal and its most isolated locations. 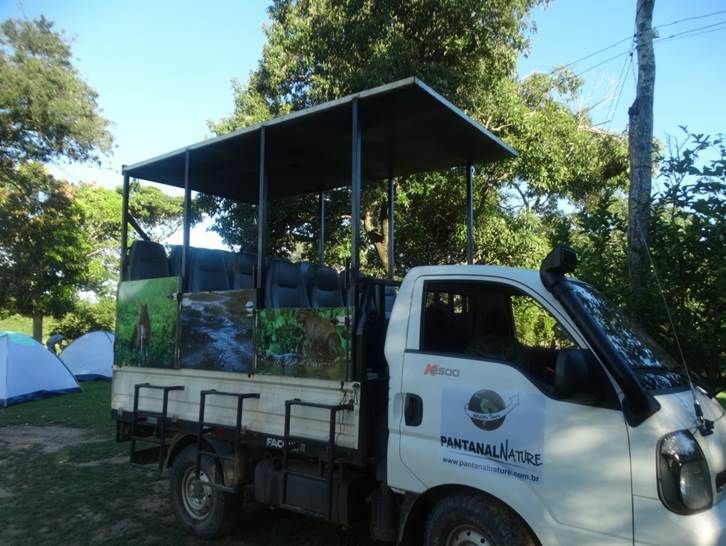 Along for the ride are our experienced drivers and guides who will take you on unforgettable safari trips, which makes Pantanal Nature the best choice in the Northern Pantanal. Our prices per person are in Brazilian Reais (BRL). For values in different currencies the costs will be adjusted based on daily exchange rates at time of booking. For more information regarding quotes, booking, itineraries and upcoming tours please click here or email us at info@pantanalnature.com.br.